Are all Tastes of Asia products Kosher? Tastes of Asia Konjac Noodles are certified Kosher by the OU and bear the coveted OU symbol. For 80 years OU has been the most widely used and recognized kosher certification agency licensing more than 500,000 products produced in 6,000 plants around the world. The demand for Kosher food is ever increasing. Worries about hygiene and production standards make the OU logo an important marketing device, increasing sales by as much as 20% compared to those products that do not have it. 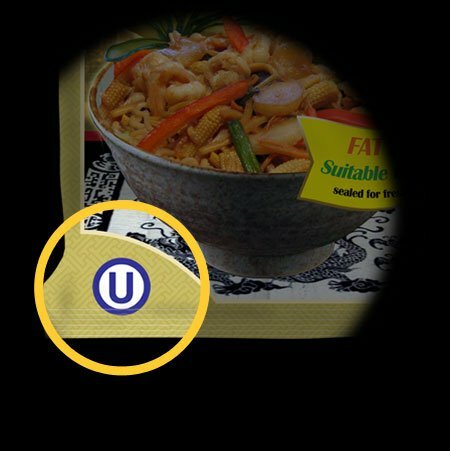 Coupled with the popularity of Asian cuisine, a Noodle Product bearing a Kosher symbol will have bigger market share and win favorable shelf space. Previous PostPrevious What could be wrong with Ricola (rikola) Drops / Candies? Next PostNext What is Birkat Halevana (bless of the moon)?